Hope all of my fellow Americans had a wonderful Thanksgiving! 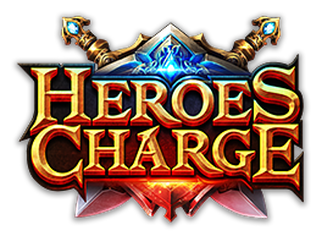 Heroes Charge just released an update containing a lot of brand new game content, including original music by composer Mike Rubino. Mike is super great to work with and I was glad to record some vocals for the menu themes. Thanks again Mike! My first ever music video! My friends and I had a super fun time putting together this fun project for Halloween: a Majora's Mask parody of "Downtown" by Macklemore & Ryan Lewis. Lyrics by me, videography by my good friend Jeff Fugelsang. This was made entirely on a budget of friendship and laughter-- I seriously can't remember the last time I had so much fun. Hope you enjoy, and Happy Halloween! Materia Collective is pleased to present MATERIA: Final Fantasy VII Remixed, a massive five-disc remix project celebrating the announcement of Square Enix’s highly-anticipated remake of one of the most beloved role-playing games of all time, Final Fantasy VII. 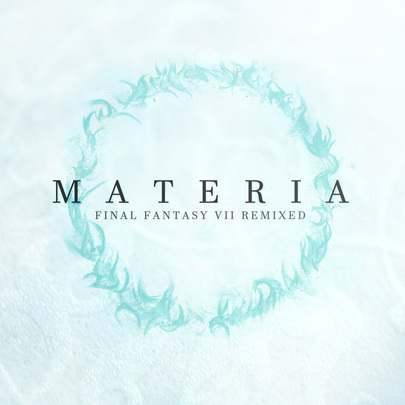 Following in the spirit of other community remix projects such as those from OverClocked ReMix, Zelda Reorchestrated, and others, Materia Collective has gathered nearly 200 musicians from around the globe, including renowned remixers, performers, YouTube personalities, and composers working in the videogame industry to pay tribute to Nobuo Uematsu’s timeless soundtrack. 'MATERIA: Final Fantasy VII Remixed is the album we have always wanted to exist,' comments album producer and Materia Collective founder Sebastian Wolff. 'It is more than a cover album; it is a collection of individual musical tributes from nearly 200 artists, collaborating to create a massive five-disc tribute to one of the most beloved games and soundtracks of all time.'" It was my pleasure to contribute vocals to Rich Douglas' "Prelude," and May Claire LaPlante's "Life Stream," as well as flute to Ben Wallace's "Reichwind Takes to the Club." The album is available for purchase at several stores online, check it out through the Materia website! Thank you so much for your support, and be on the lookout for more albums from the Materia Collective in the future! The upcoming Video Games Live show in Brazil is SOLD OUT! Thank you so much to everyone for the amazing support of the show, looking forward to performing in Brazil for the first time in three years! See you soon! Excited to announce my involvement with the upcoming Final Fantasy VII album MATERIA! I recorded for some really great artists who put together amazing tracks, can't wait for everyone to hear this new, expansive tribute to FFVII. Stay tuned for an October release! 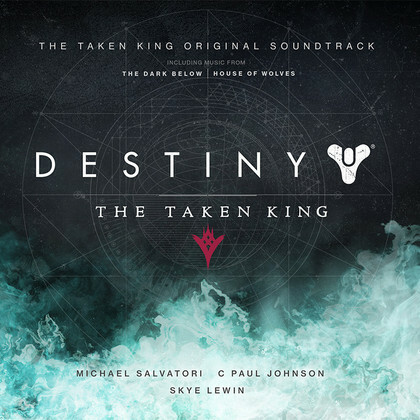 Bungie just released their expansion Destiny: The Taken King today, and I am so honored to have sung on the accompanying soundtrack! I contributed vocals to a few different tracks: Mike Salvatori's "Remembrance" and "Traveler's Promise," as well as Skye Lewin's "The Awoken" and "Deathsingers Dirge." Thank you Skye and Mike for this amazing opportunity, and congrats on the awesome new expansion and soundtrack! Happy playing, everyone! Pokémon fans, we choose you!! Shinesparkers has just officially announced their upcoming fan album Harmony of a Champion, featuring the music of Pokémon Red and Pokémon Green! After participating in the last three Harmony albums, I am honored to be serving as an assistant director for HoaC, along with fellow musicians Step Wells and Bernardo Limon, under the directorship of Darren Kerwin. We have been working on this album for almost a year, and are taking a different approach than our previous albums: this will be a story-driven experience, telling the story of Red and his journey to become a champion. To that end, in addition to many returning Harmony musicians along with new faces, we also have a brand new sound design team headed by Emmy-Award-Nominated Gina Zdanowicz. Check out the official press release here, and Like us on Facebook here! This album is dedicated in memory of Satoru Iwata, who was a huge part of the original Pokémon games and of course a monumental figure in the entire video game industry. I can't think of a more fitting way to pay him homage than to put together a VGM album by fans, for fans; this album will be available for free download in early 2016. Stay tuned for more previews over the next few months! Can't wait for everyone to hear what we've been working on! Nihau from China! As I wrap up an awesome two week tour with Video Games Live, I'm excited to announce that I'll be getting back to the States just in time for Pokemon: Symphonic Evolutions in Boston on August 22nd! Can't wait to perform with the PokeTeam again, hope to see y'all there! 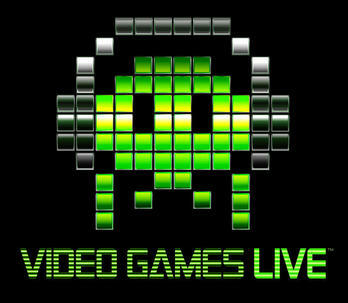 Thrilled to be joining Video Games Live for a two-week tour in August! We start at the magnificent Red Rocks in Colorado, especially exciting not only because of the venue and special guest composers, but also because Omar Najmi, an amazing tenor and one of my best friends, will be performing with me as well! Then we're off to Germany for three shows in a row at Gamescom, in addition to a special Blizzard only show, right inside the convention center! Lastly, we make three stops around China, where I will be performing in Shanghai for the first time. Can't wait to get on the road and start making music! Tickets as always at videogameslive.com, hope to see you at the shows! The day after Satoru Iwata's passing, I was going for a walk, listening to video game music. I had been thinking about Mr. Iwata ever since I heard the news of his death, and was feeling deeply sad about the loss of this great man, when this hauntingly beautiful theme began to play on my iPod. I knew the melody and the game was Legend of Zelda: Skyward Sword, but couldn't remember the name of the piece; I waited until the song was done to check the iPod, and saw the title was "Fi's Farewell." I had completely forgotten about that portion of the game's plot, and how perfectly suited the music was to that moment of Fi's departure. It was not a song about sadness or loss, but about acceptance, about faith in the future; the necessity and inevitability of saying good-bye. The song has been stuck in my head ever since, so I made this arrangement yesterday as my own small homage to Mr. Iwata; my own way of saying good-bye. Although I never met him personally, I have heard a great deal about him over the years and he never ceased to inspire me with his work ethic, generosity and his love for the video game industry. Thank you for all you have done Mr. Iwata, and farewell. XBOX One has just officially announced their new exclusive title RECORE! Created by Keiji Inafune and the makers of Metroid Prime, this game is slated for 2016 release and will feature an expansive soundtrack by the awesome and talented composer Chad Seiter, who has worked on numerous TV and movie titles (most recently Jurassic World) and arranged the music for worldwide concert tours Symphony of the Goddesses and Pokemon: Symphonic Evolutions. It was a tremendous honor to work with him and record vocals for this trailer, Huge congratulations to Chad, and even bigger thanks for having me be a part of this project! Ember from Pierre Vanderweerd on Vimeo. Here is an adorable video by Pierre Vanderweerd! This is seriously one of the cutest, most heart-warming things I've ever seen. It's only one minute long, but it has been beautifully hand-crafted by Pierre, and the story is so simple but poignant that it tugs my heartstrings every time I watch it. Many thanks to composer Denny Schneidemesser for inviting me to record flute for his charming, uplifting soundtrack. Enjoy! Madison Square Garden, I choose you!! 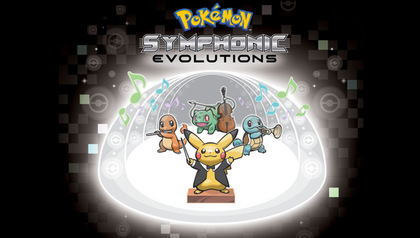 Gearing up for my first performance of 2015 with the symphonic sensation Pokémon: Symphonic Evolutions. Can't wait for another fun sing-along with my hometown of NYC. Hope to see y'all there! Congratulations to Jeff Ball!! Back in December 2014, I posted a trailer for "The Grandmaster," which used a track by Jeff. That trailer recently won a Golden Trailer Award in the category of Best Foreign Action Trailer! So thrilled for Jeff to have been featured in this trailer, it was so fun to work with him on the vocals for the piece, "Valor of Athena." Thank you again Jeff for inviting me to sing, and congrats to him and The Grandmaster team! Thrilled to announce the release of an awesome new game, Magnetic: Cage Closed! It was my honor to sing a bit for this soundtrack end credits, composed by my friend Sebastian Mårtensson. Can't wait to sit down and play the game this weekend! Congratulations to the Magnetic Team! 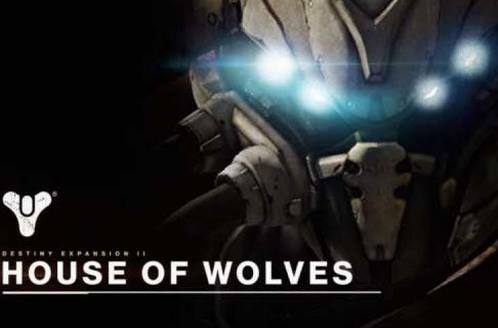 The folks at Bungie have just released an expansion for Destiny called House of Wolves! It was a supreme honor to work with composers Mike Salvatori and Skye Lewin, who had me provide vocals for a few tracks in this new DLC. This is my first time appearing on a AAA game soundtrack, and I couldn't be more thrilled with the experience. Thank you so much Mike and Skye! Destiny gamers, enjoy the new content! 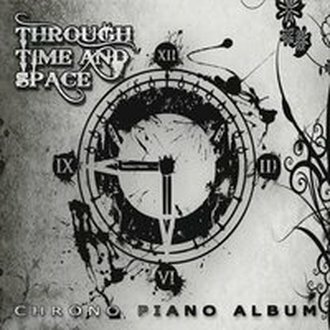 I'm thrilled to announce that the my Chrono Trigger/Cross piano arrangement album THROUGH TIME AND SPACE is now available for purchase! Featuring my dear friend, pianist Brendon Shapiro, this album was produced as part of the Video Games Live: Level 4 Kickstarter. I had so much fun arranging these pieces, digging into Yasunori Mitsuda's scores from both games and finding ways to re-imagine and combine different themes into little tone poems. This was also the first time Brendon and I have recorded since we were undergrads together at Ithaca College--we hope it will be the first of many projects together. The album is available on CDBaby, where you can check out some clips of each song. Hope you enjoy this album, it's one of my favorite projects I've ever worked on! I am so excited for Video Games Live in Boston next Monday, March 16th! This show will be very special for me: two of my very best friends and fellow musicians will be performing with me on the VGL stage for the first time! Pianist Brendon Shapiro who recently recorded the Chrono piano album THROUGH TIME AND SPACE with me, and Boston Lyric Opera tenor Omar Najmi. We can't wait to show everyone what we've been working on for this extra special show! Tickets can be found here, hope to see you there! 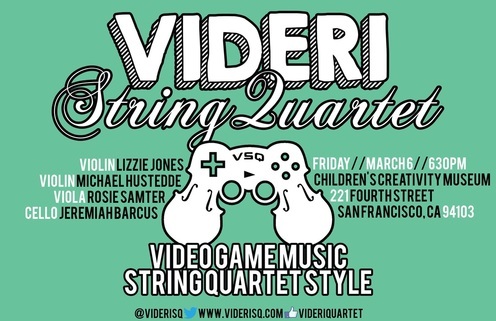 Super psyched to be performing with the Videri String Quartet in San Francisco on March 6th, during GDC week! This will be my first ever collaboration with this talented ensemble, singing a few pieces from Journey and World of Warcraft. No GDC pass necessary, but tickets are required and available here. Hope to see you all there! 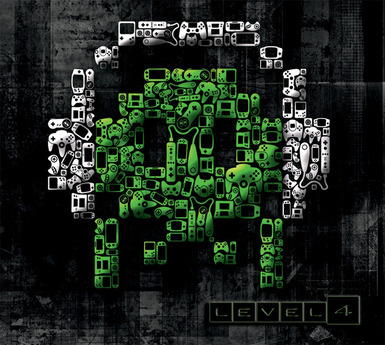 Video Games Live: Level 4 is here! I'm so blown away by all of the talent that made this album possible, it's an honor to be among their company. Zelda Universe is currently previewing 4 tracks from the album, including my Donkey Kong Country arrangement! It was amazing to have David Wise and Robin Beanland contribute sax and trumpet to this piece, I've admired their work ever since I was a kid and to work with them was a real dream come true. Congratulations to the entire VGL team on another great album, and thank you for having me be a part of it! 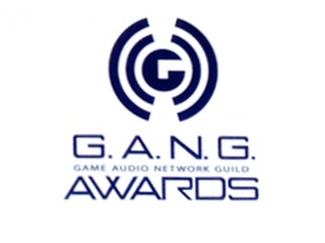 I am overjoyed to announce that I have been nominated for my first ever G.A.N.G. award :) My arrangement of "You Were There" (ICO, composed by Michiru Yamane) has been nominated in the BEST GAME MUSIC COVER/REMIX category. It is a tremendous honor to be considered for this award alongside so many other talented VGM artists that I admire, for their own stellar arrangements and remixes. Congratulations to my fellow nominees, and good luck to everyone during the voting process! It's been a while, but I'm back! ;-) I'll be performing with Video Games Live for the first time in over a year on January 31st at the Beacon Theater in New York City! So thrilled to be performing so close to my homeland of Long Island, and very excited to be sharing the stage with a variety of special guests in the video game music industry. I'll also be performing two world premieres that night: an orchestral version of my arrangement of "You Were There" from ICO, and an orchestral arrangement of my Donkey Kong Country segment. So pumped!! Ticket info is located here, hope to see you at the show! And the Super Smash Bros. mega-album Harmony of Heroes has been nominated for "Best Album - Fan Arrangement!" Congratulations to 60+ HoH team, and to everyone else who was nominated for the AGMAs this year!